Many people become frustrated with their diet and exercise program when they do not see results and do not seem to lose weight. When this happens a lot of people will stop their diet and exercise program and regain the weight they have lost. 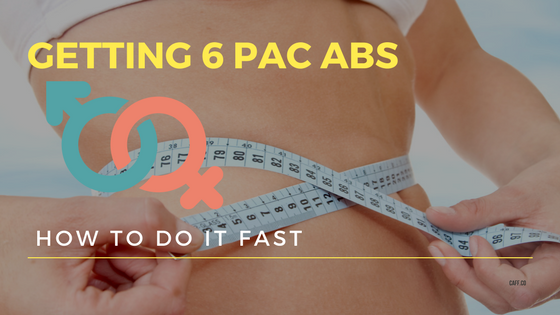 When a person takes a holistic approach to diet and exercise that includes a focused abs workout program, they are able to see results from their diet and exercise much faster than through a general exercise program. General exercise programs do not focus on a single muscle group or part of the body. The purpose of general exercise is to tone and condition the entire body. There are rarely resistance exercises included in a general exercise program that have the sculpting effects of a focused program. When a person is performing general exercises they are burning calories and building muscle strength. But, as muscles become stronger they gain weight. This means that the weight lost in a diet is not going to be reflected on the scales. When a person cannot see the results of a diet and the exercises they do, they become frustrated and lose motivation to continue. Focused exercises work on those problem areas a person can see. When a focused exercise routine is incorporated into a diet program there are visual results that can be used to gauge the effectiveness of the diet program. A person will notice that the area becomes toned and they begin to lose inches. A focused abs workout does not require expensive equipment to do. An individual can follow a program that includes some simple exercises that are easy to do at home. There is no need to invest in equipment or gyms to accomplish the goal of sculpting the body. Once an individual has started a focused exercise program, they will notice results quickly. Many people can see significant reduction in their waistline and abs within a few weeks of starting a program. Exercising each day at the same time will help to make the act of exercising a habit that is easy to maintain. An effective program can be conducted in thirty minutes each day. Spending fifteen minutes in a focused abs workout will sculpt and reduce inches from the waistline. Another fifteen minutes spent doing general exercises will tone and condition the rest of the body and promote circulation and overall good health. By following a simple thirty-minute exercise regimen daily, you will be able to see results from your efforts much more quickly. Once an individual sees, and can gauge, their weight loss efforts, they become more motivated and exercise becomes easier to continue. As the results of your efforts are more visible, your confidence will increase and you will begin to feel healthier and happier.